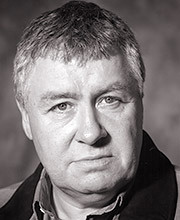 Gregor Fisher has appeared in eight series of Rab C Nesbitt, and dramas such as Blood Red Roses and The Tales of Para Handy. He played the role of ‘Perks’ in Carlton’s 2000 production of The Railway Children and ‘Mr Bumble’ in BBC TV’s adaptation of Oliver Twist. His theatre credits include As You Like It and The Cherry Orchard. He has also played ‘Grandpa Potts’ in Chitty Chitty Bang Bang and ‘The Cowardly Lion’ in The Wizard of Oz. His film credits include 1984 and Love Actually.